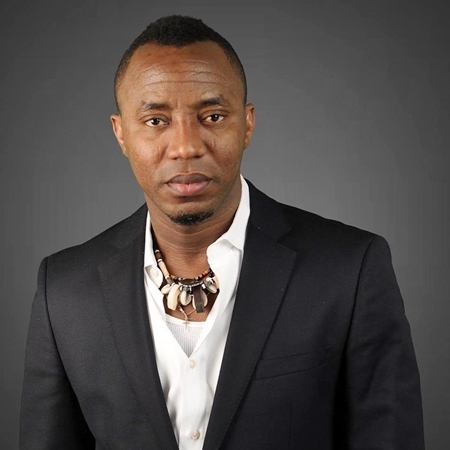 US-based controversial publisher of Sahara Reporters, Omoyele Sowore, was on Monday, forced to declare his bank accounts public after being accused of having over one million US dollars ($1,000, 063.00) in his account at Bank of America. 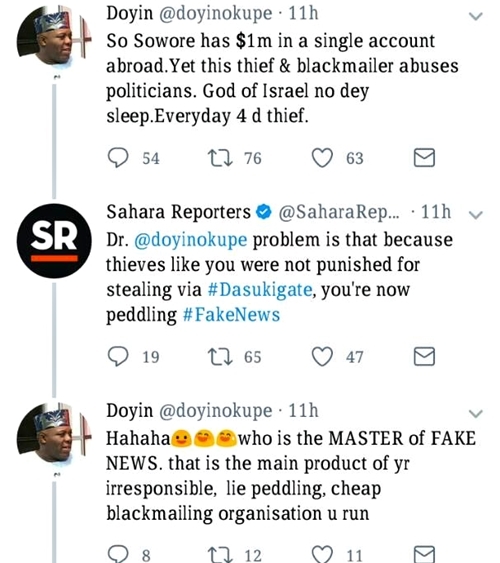 In a Facebook post, Sowore claims that reports that his account with the American bank is frozen is allegedly being spread by the Senate President, Bukola Saraki and his associates. He further posted screenshots of his accounts including local and international, to drive home his claims. Folks: Let me just act goofy today by declaring all my private bank accounts publicly just so that so some of you can get some answers you need. 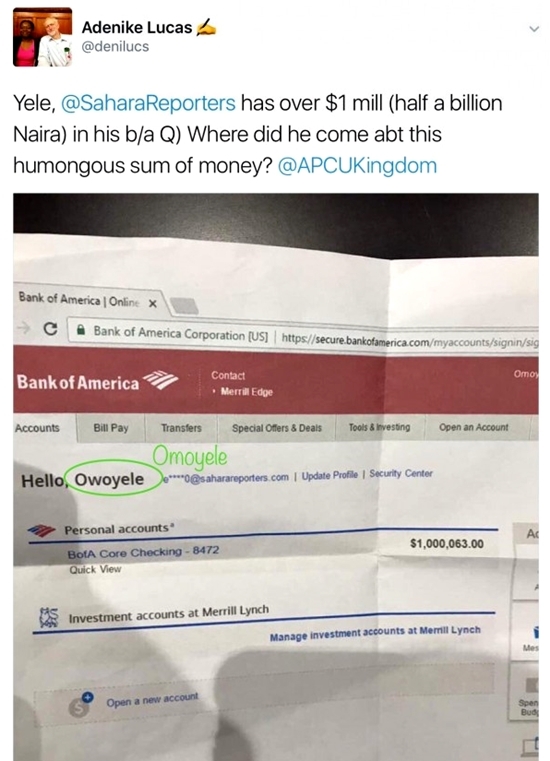 It is important to let you know that the Bank Of America (BOFA) bank account summary being bandied around by Bukola Saraki and his minions yesterday was manufactured since last week. I do not have a personal or investment account at BOFA. However, after hitting them hard yesterday revealing their fraudulent legal judgements in Ilorin, they had to resort to something. These screenshots of my accounts both in the US and Nigeria were taken today. 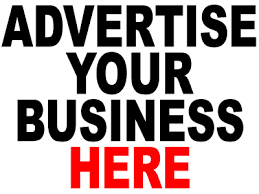 Please understand that my Nigerian accounts have been frozen via a kangaroo court order obtained from a Jankara judge in Ilorin, Kwara state. 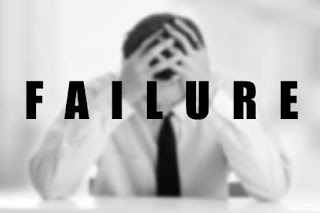 My confirmed cash balance across two (US and Nigeria) continents as of this morning stands at $6,213 minus $6, 100 and debit card balance of $100 frozen in my GTB account. My account balance in Naira is less than N2,000. My available bank cash today in the US is approximately $13! I also have close to £10 left from funds that I exchanged while in the UK his weekend. Mind you I am not seeking anyone's sympathy, there is no need for it.